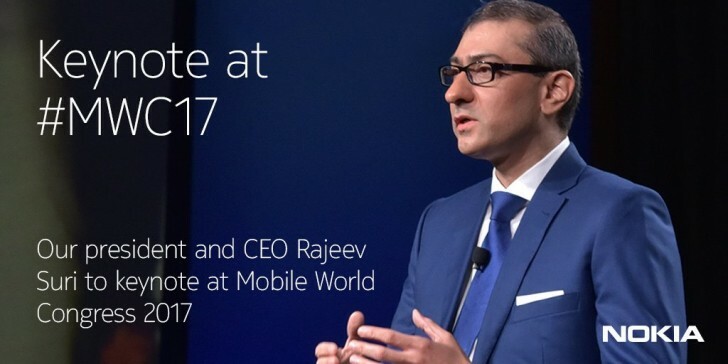 For a moment there chills ran down our spines - Nokia CEO Rajeev Suri will speak at MWC 2017! Before people get overly excited, we should make it clear that the chances of a phone announcement are quite low. Look at Suri’s fellow Keynote speakers - the CEOs of AT&T, KT, Telefonica (carriers), Vivendi (media/games) and Niantic (Pokemon Go), Kaspersky Lab (antivirus)... This will be a mobile “state of union” type speech, perhaps detailing Nokia’s dealings with carriers (the company’s main business currently is to sell telecom equipment). Sure, there’s the Nokia D1C - a 13.8” tablet, not a phone - but this doesn’t like the right crowd that will be interested in an oversized, mid-rangy tablet. Of course, Mr. Suri can drop the bomb - “We’re back!” - but we wouldn’t get our hopes just yet. Still, hope springs eternal. Meego is the best, Symbian without a true change is a dead OS regardless its popularity.